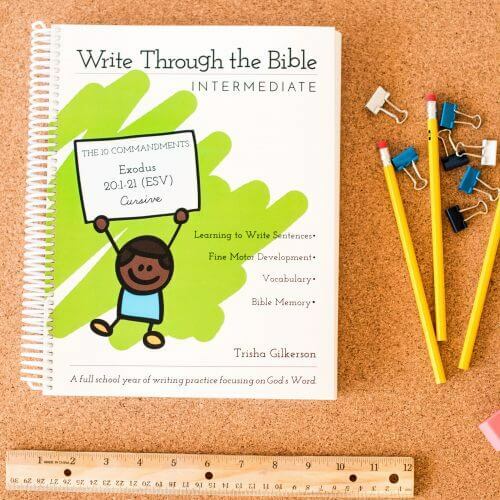 This handwriting workbook is designed for a full school year (118 days) for students who need continuing handwriting practice. 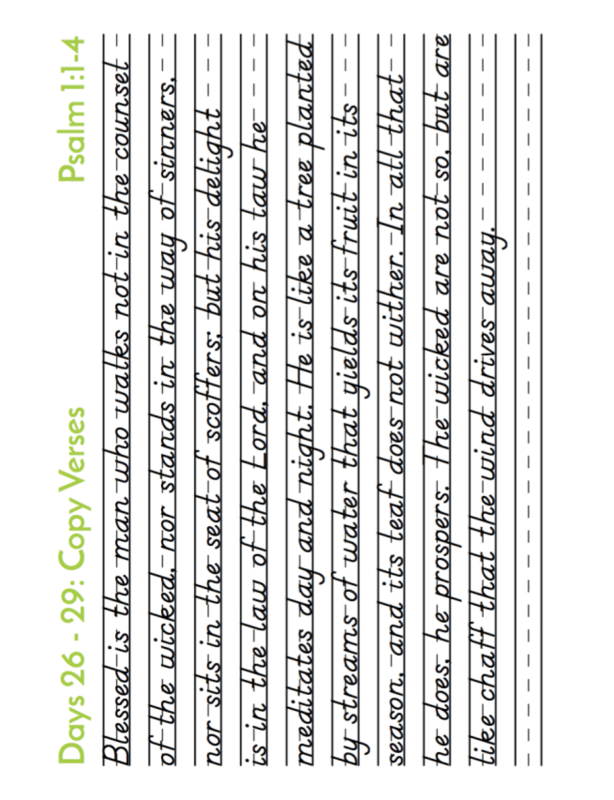 The text is Psalms 1, 23, and 121, available in two translations: English Standard Version (ESV) and the King James Version (KJV). 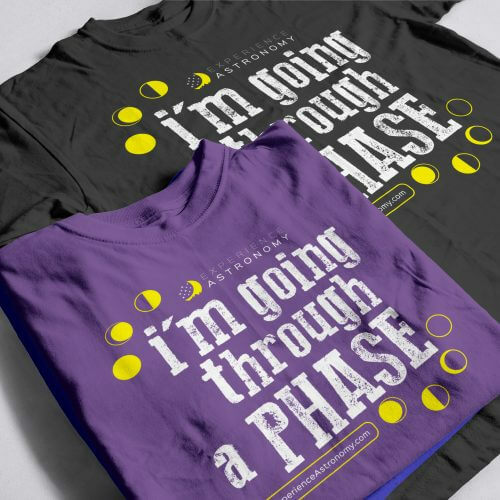 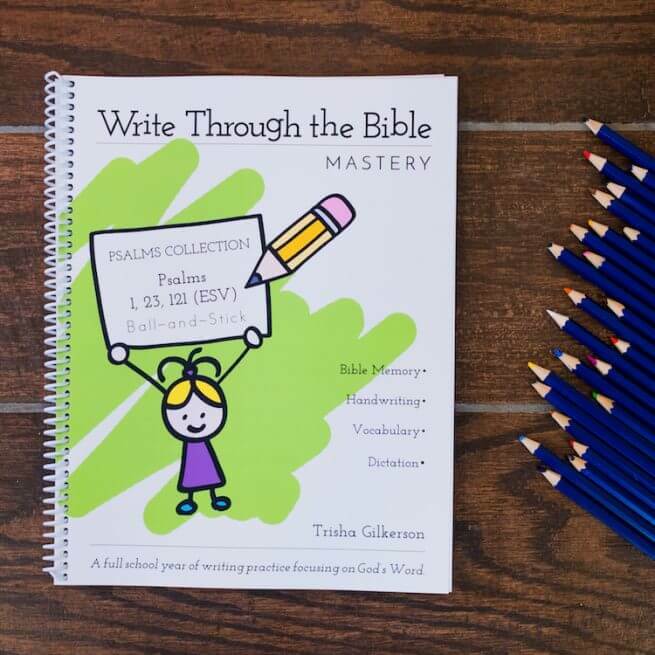 Spiral-bound 121-page softcover books (with perforated pages) are available for $17. 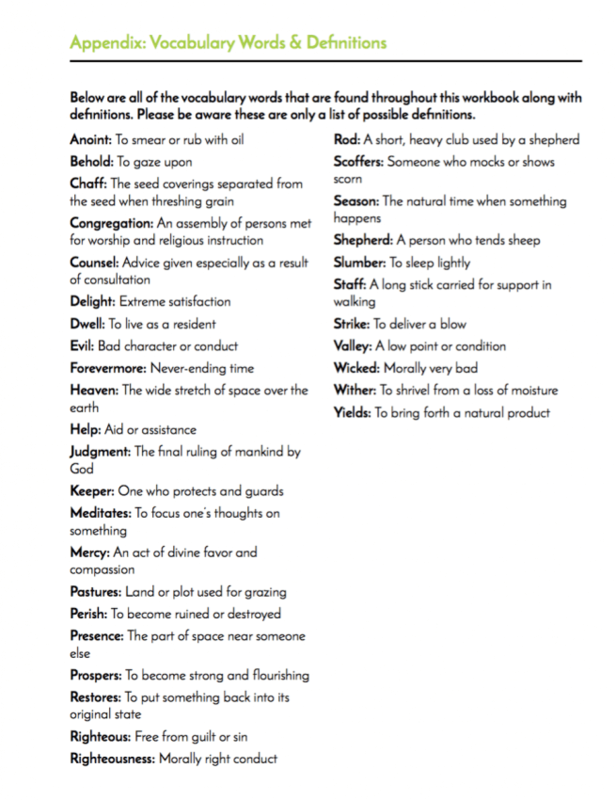 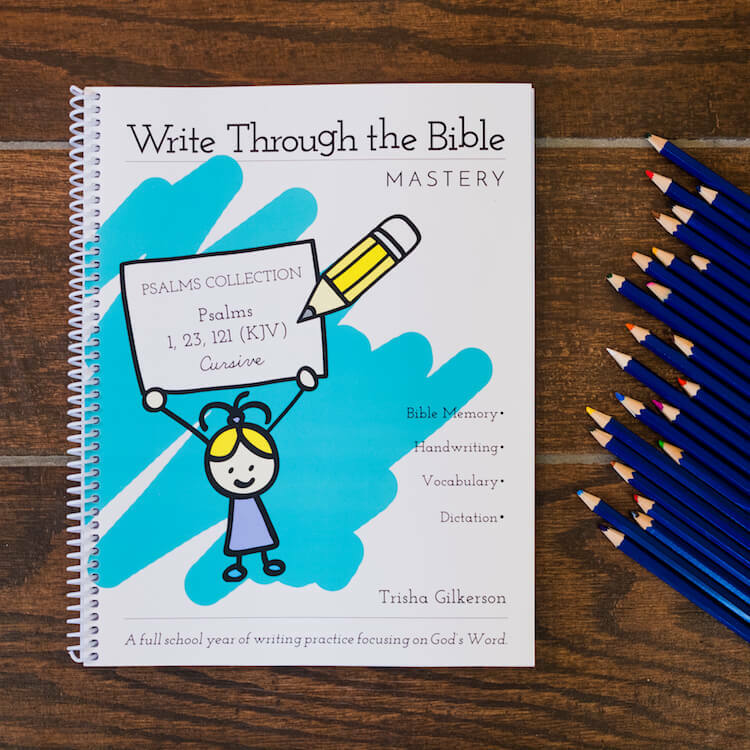 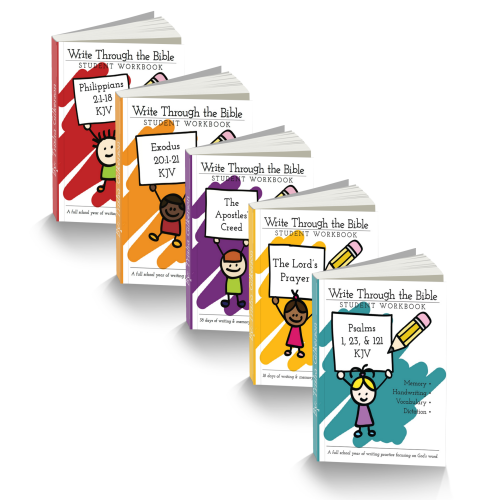 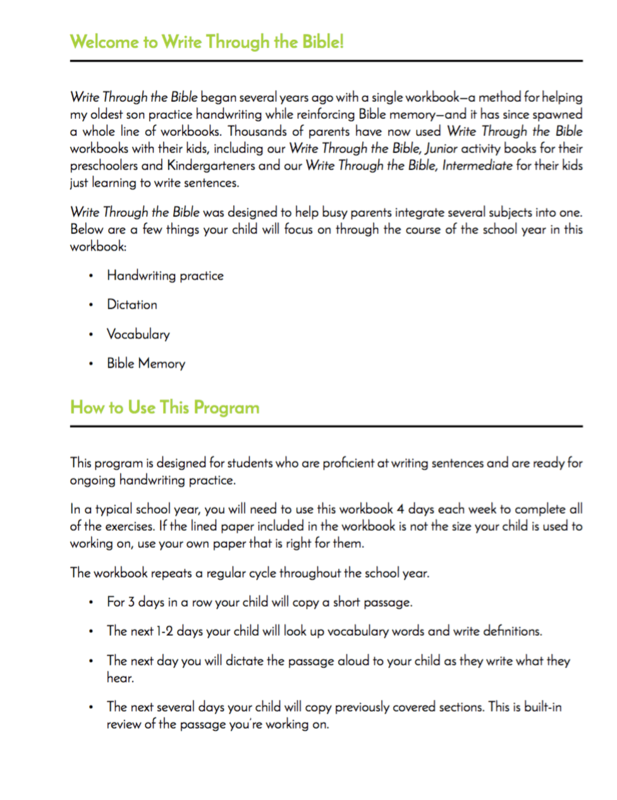 This workbook is a collection of popular psalms. 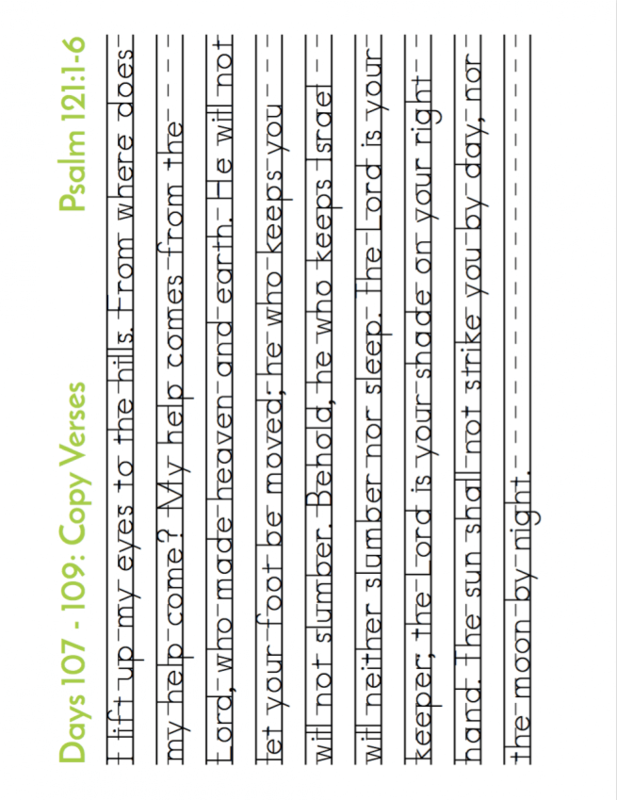 Psalm 1 exalts the virtues and benefits of meditating on the Word of God. 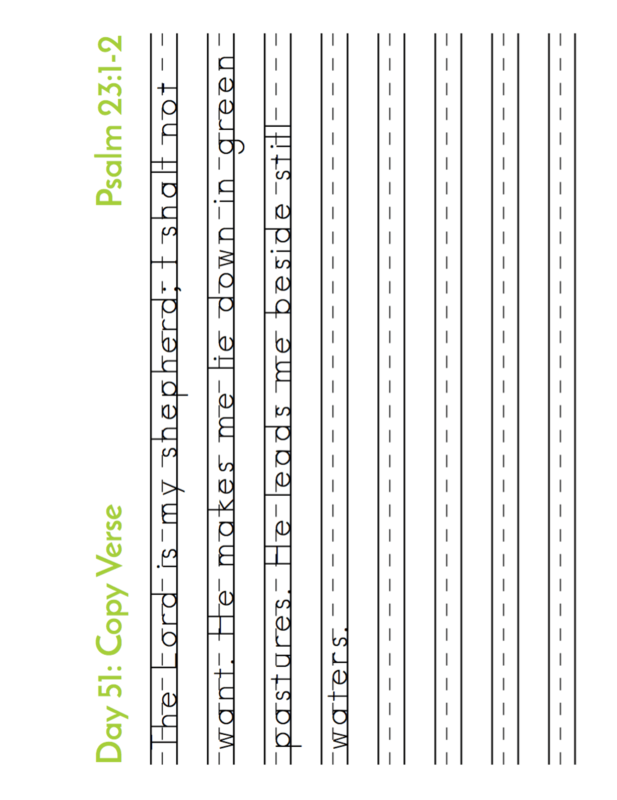 Psalm 23 is the classic text celebrating the Lord who is our shepherd. 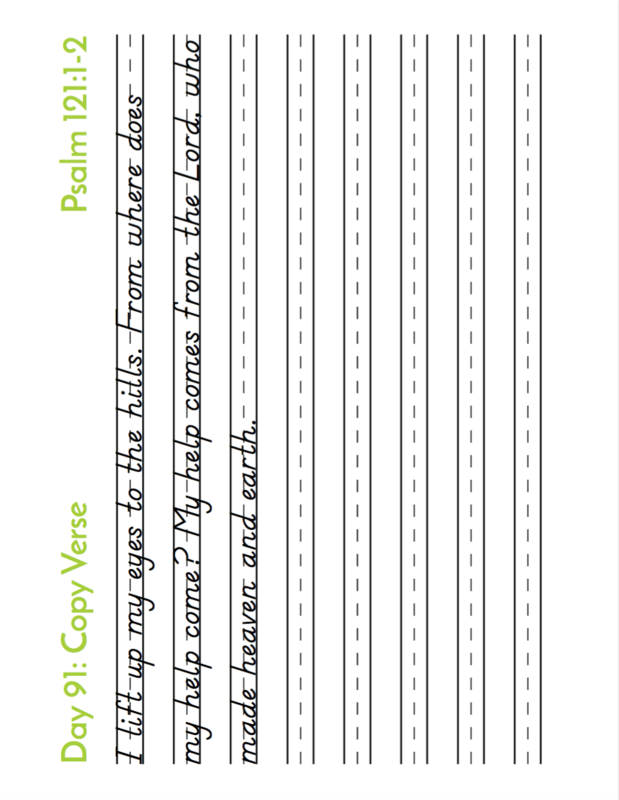 Psalm 121 is a “Song of Ascent,” originally sung by worshippers traveling to the temple for a festival, written to express their trust in God who preserves their lives. 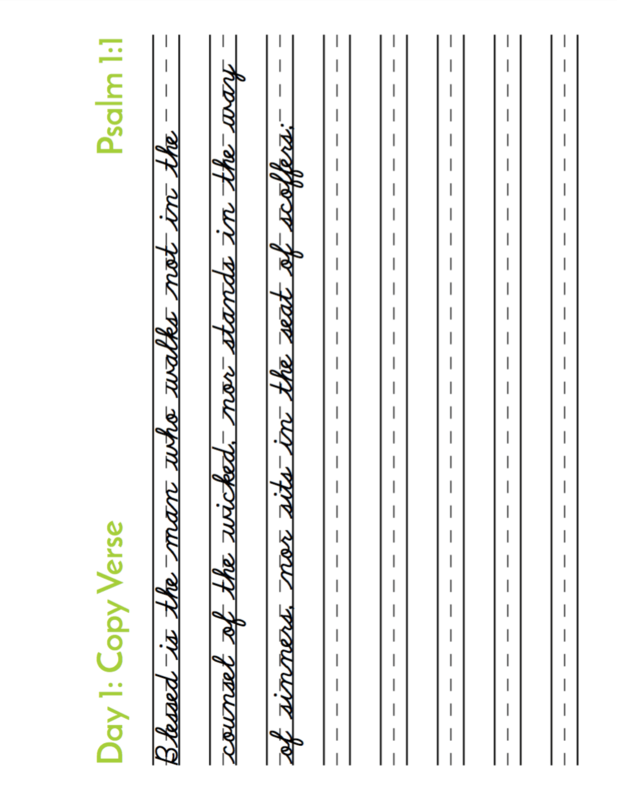 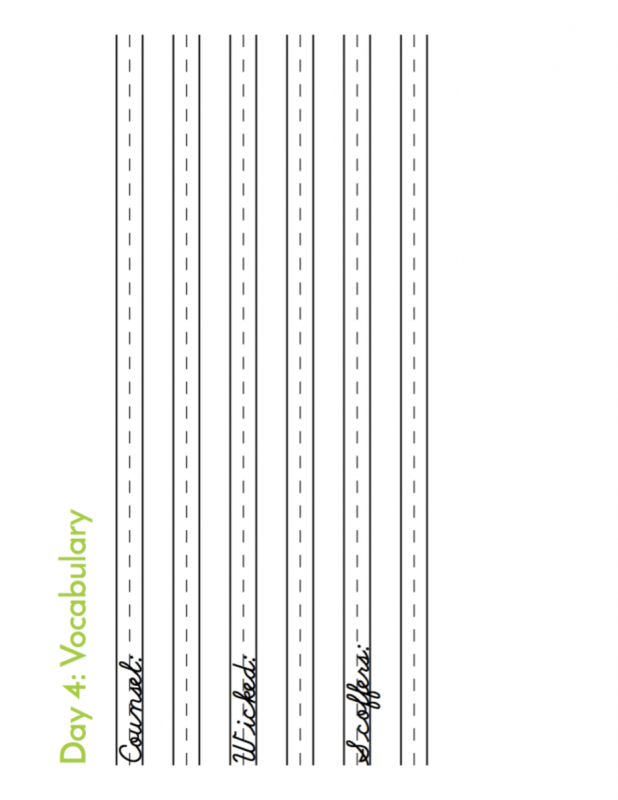 This workbook includes 118 days of handwriting practice worksheets, enough for an entire school year.